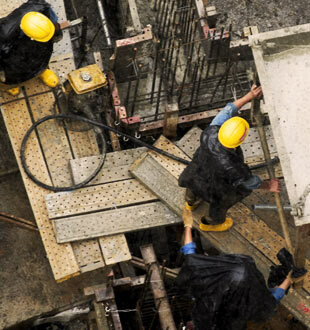 Construction site safety is paramount, especially when building work impacts on the safe flow of traffic. Work zones that spill out on to roadways need special attention in order to protect both contractors and drivers alike. VMS (Variable Message Signs) can be used as effective road and traffic signs to warn drivers of work zones ahead. Unlike other construction safety signs, VMS are bright, eye-catching and visible in fog or at night. Amber Langis Ltd can help with all aspects of traffic and pedestrian management for work zones that impact on roadways. Whilst we are specialists in VMS, we can also supply cones, temporary signals and more. Please contact us to find out more.